Hi everyone and welcome! As part of a month long collaboration between Eileen Hull's Inspiration Team and the good folks at Stampotique I've got another new project to share with you today; this time I'm using the 'Basket' die from Eileen's HeARTfelt collection, some of her gorgeous double-sided patterned papers from the HeARTfelt Paper Pad and fun images from Stampotique. One of the samples I made for the Creativation 2017 show was a little basket using Eileen's fabulous die. It proved particularly useful for holding business cards and this gave me the idea for the latest project, a holder for change of address cards. It just so happens one of the designs in Eileen's patterned Paper Pad is a house which worked perfectly with the 'Stitched Houses' stamp from Stampotique. So here's the basket/new home card holder, complete with coordinating card blanks. You'll see the houses stand proud from the sides of the basket to allow for the free movement of the handles and there's a faux stitched theme to the basket base to match the papers and houses design. 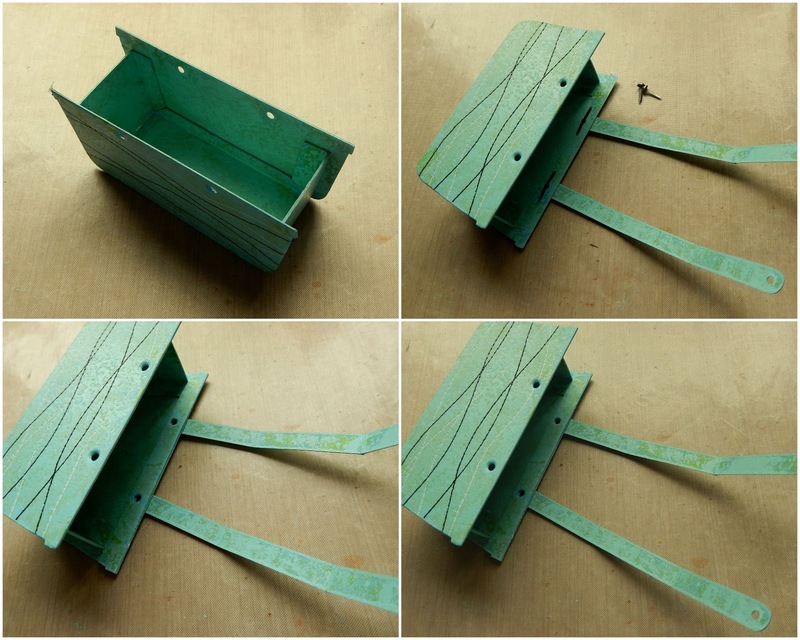 Step 1 - Cut one base, two sides, two handles and two basket rims from mat board or similar using the Basket die. I like to run the basket rim shapes back through the die lined up with the top of the side cut to shape it. 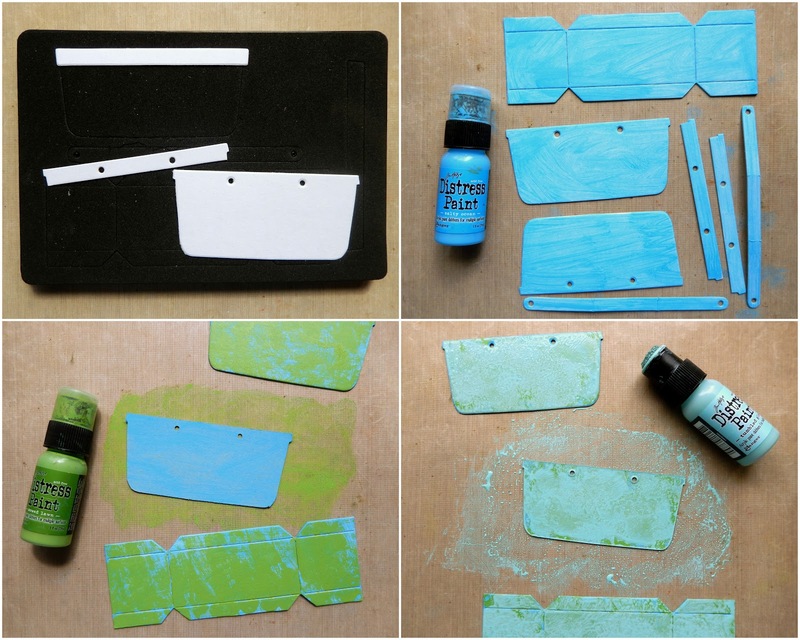 Step 2 - Paint both sides of every element with Salty Ocean Distress Paint. An even coverage is not required. Step 3 - Apply Mowed Lawn Distress Paint to your craft mat and press each element into it to add a second uneven layer. Reapply the paint to your craft mat for every piece coloured. Step 4 - Repeat the previous step, this time using Tumbled Glass Distress Paint. Step 5 - Roll a tracing wheel over the outer edges of each side piece to create interlocking wavy lines of faux stitching. Step 6 - Use black and white permanent pens to draw lines following the holes created by the tracing wheel. Step 7 - Fold the base pieces and stick to the basket sides with strong adhesive of your choice. Step 8 - Attach the handles to one side of the basket base using brads through the pre-cut holes. Step 9 - Glue one of the shaped basket rim pieces over the brads on the inside of the basket. Step 10 - Repeat the last two steps to secure and cover the basket handles on the other side of the basket. Step 11 - Stamp the 'Stitched Houses' design on to four different sheets of from the Paper Pad and cut out. Step 12 - Layer different roofs and buildings over 10 of the stamped houses. Step 13 - Stamp the houses onto mat board. Cut out the building parts, colour the edges with Tumbled Glass Distress Paint, and glue onto the backs of each of the corresponding paper houses. These can now be glued onto the sides of the basket, overlapping where required. Step 14 - Cut white card into business card sized rectangles (roughly 3.5" x 2") and cut smaller pieces of paper from the multi-coloured houses Paper Pad sheet (roughly 1.5" x 2"). Stick the patterned paper to the ends of the white card rectangles to create matching new home address cards. 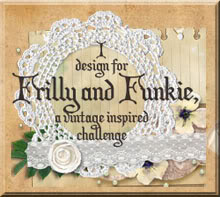 I hope you've enjoyed seeing this little project and the tutorial. If you have any questions please feel do leave a comment below and I'll do my best to help. 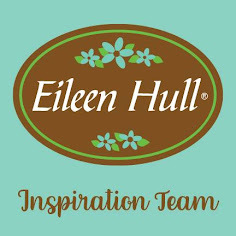 Meantime please do make sure you hop on over to the Eileen Hull Designs blog where there are links to even more projects which several of my uber-talented Inspiration Team mates are sharing as part of the collaboration this month. Awesome Jenny! Love those little house, they are so cute and your Basket is adorable! Fabulous little project. 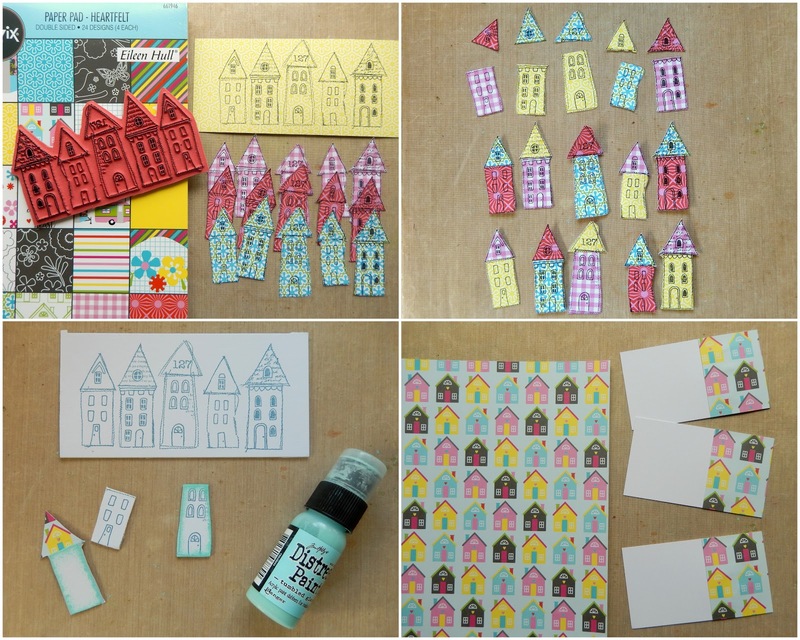 Love the cheerful colours and the little houses are so much fun - just added that stamp to my wish list. Thanks for the tracing wheel tip - will have to dig mine out of my sewing cupboard and dust it off. Fabulous! Jenny. Great use of the stamps and love how they inspired you to decide on what to use the basket for. Thanks for the sharing the step by step . I just love this! 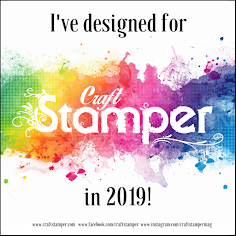 Great way to use this stamp and I love the idea of faux stitching, I have never seen that done before! Thanks for sharing! Love this- so cute how you added the houses!! This is another delight - the stitched houses look so sweet on the basket. A brilliant showcase for the stamp as well as the die!